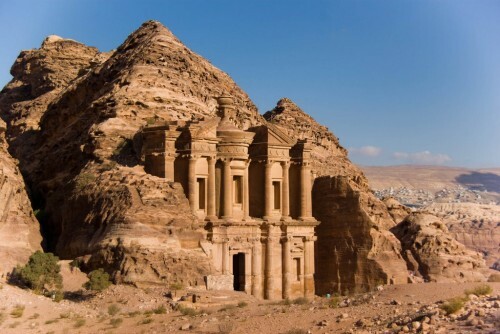 Visit beautiful Petra: cheap flights to Jordan for only €302! If you want to explore beautiful Jordan and world famous Petra monastery you have a great opportunity right now. 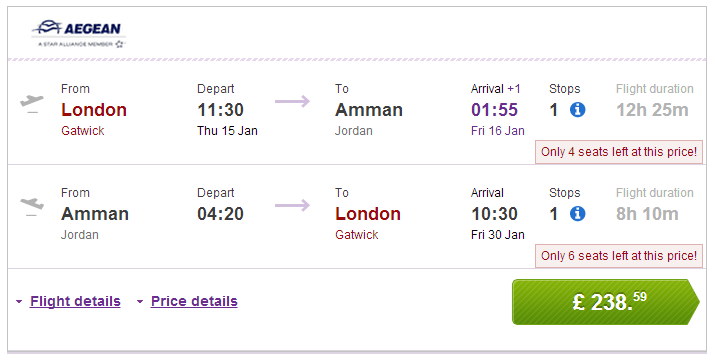 Return flights from London (Gatwick) to Amman are available for only €302 / 238 GBP! This price includes 23 kg luggage and 1 stopover in Athens. Travel dates are in January and February 2015. Book on BudgetAir to get the best price! Aqaba offers all kinds of accommodation from 5 star hotels to cheap apartments for decent prices but we recommend you to compare the offers with our search engine to secure some nice deal. It is a good idea to explore a bit more than just Aqaba on a trip and the easiest way to do this is to rent a car and go on a small roadtrip. Prices of car rental are affordable in Jordan. « Cheap flights to Malaysia: Kuala Lumpur from Zagreb for only €390!